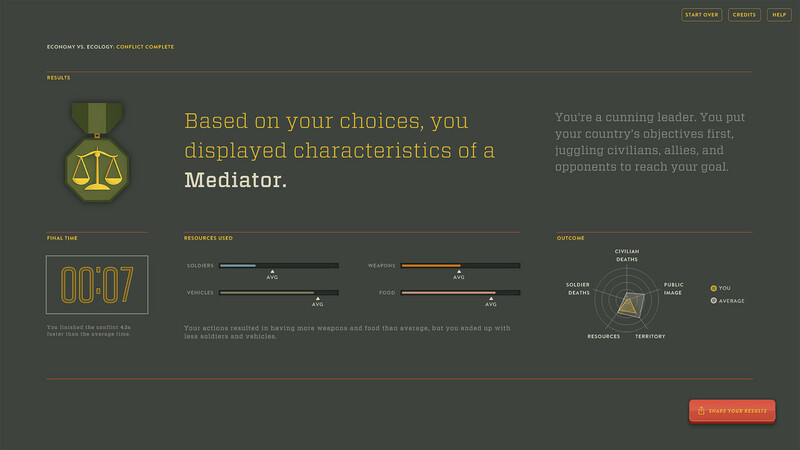 Based on the decisions they make, visitors are assigned archetypes that describe what kind of leader they are. 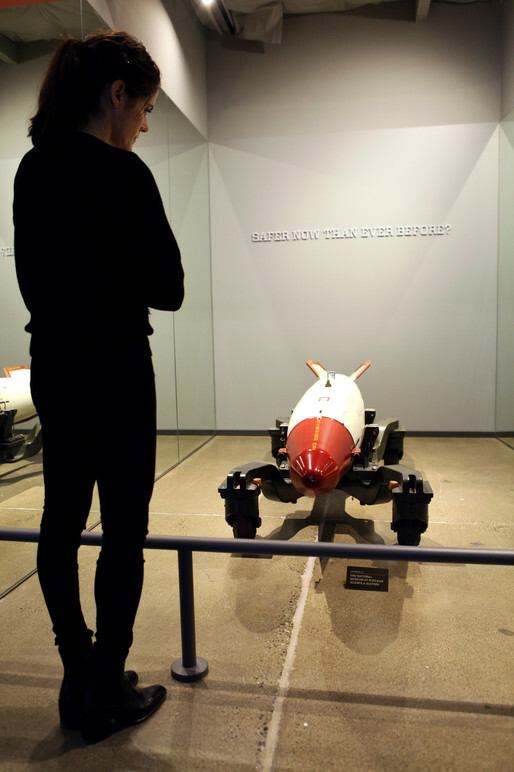 "Are we safer now than ever before?" 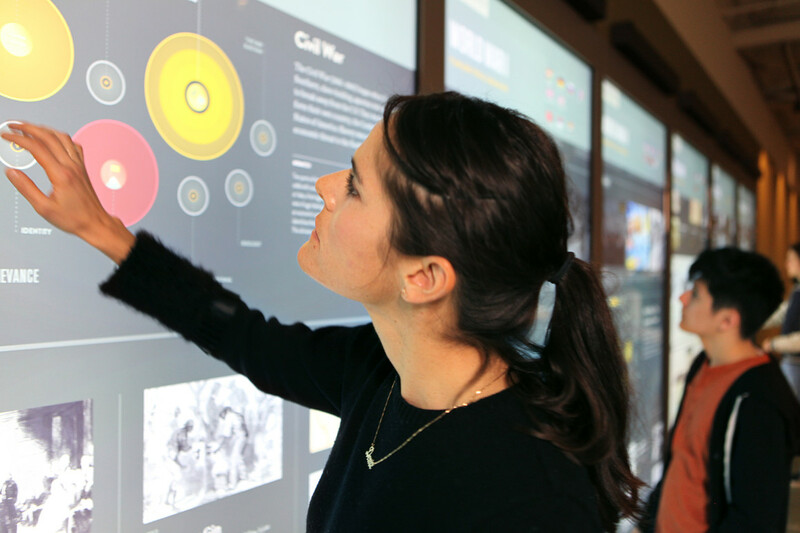 “Why War: The Causes of Conflict” is a media-rich interactive exhibit made up of a combination of engaging interactive media elements. 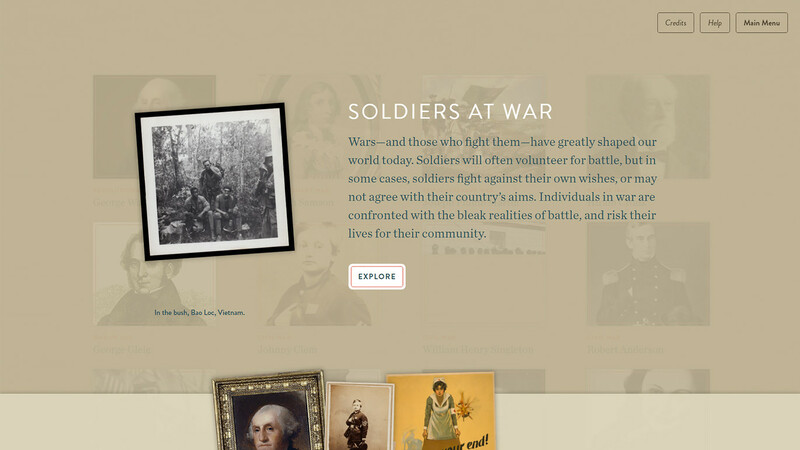 The content itself explores the roots of military confrontations throughout our nation’s history. 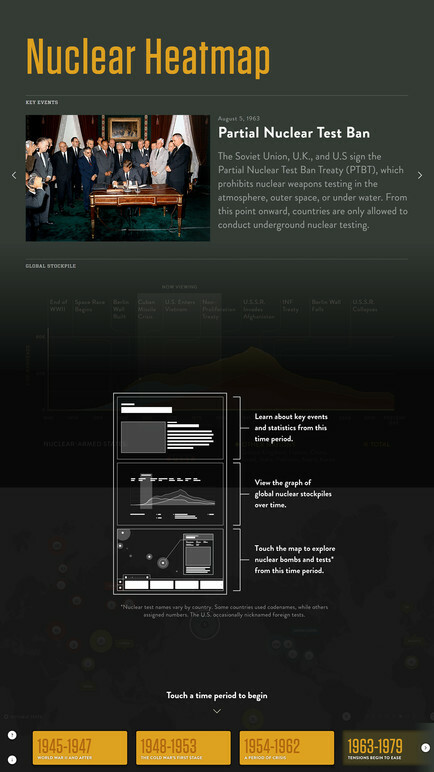 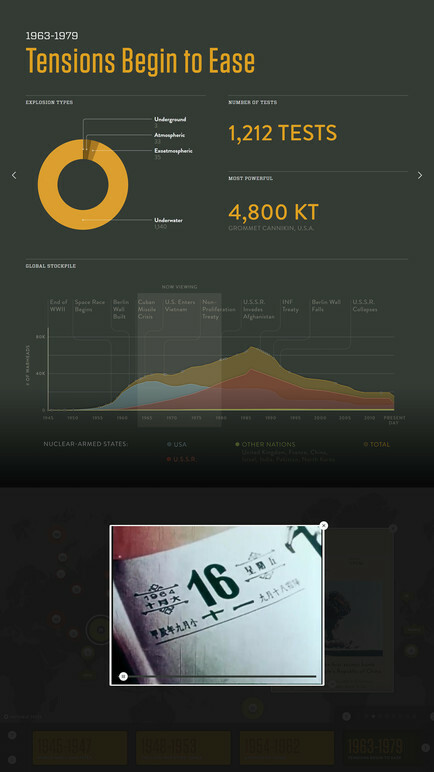 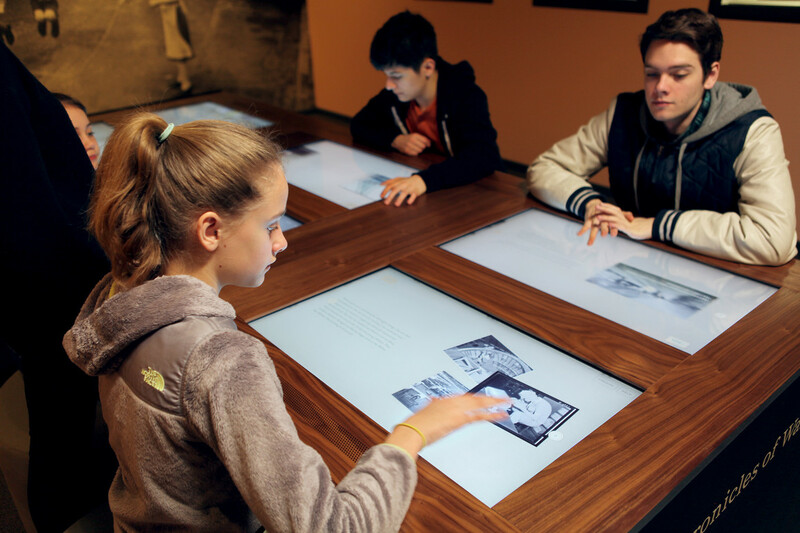 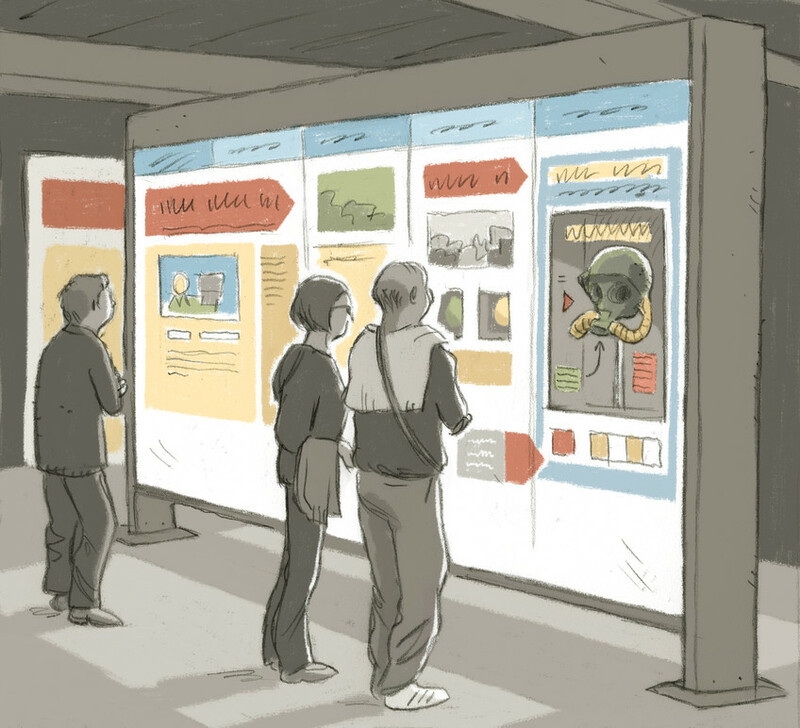 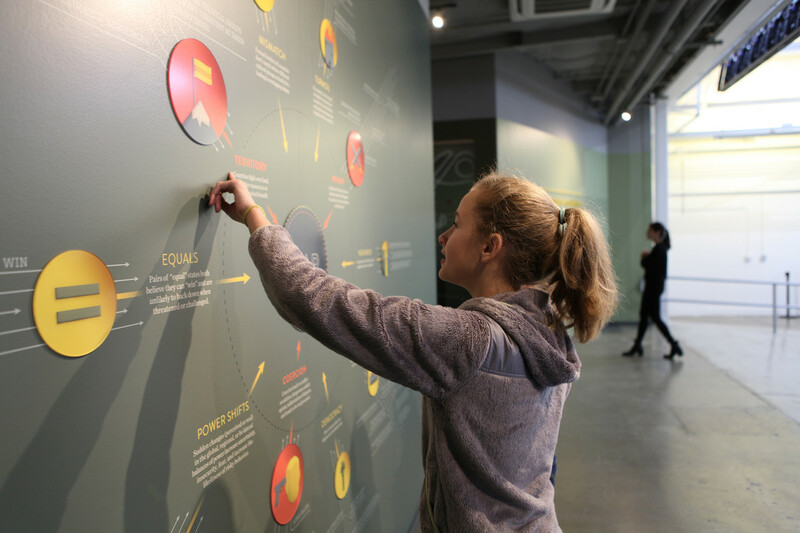 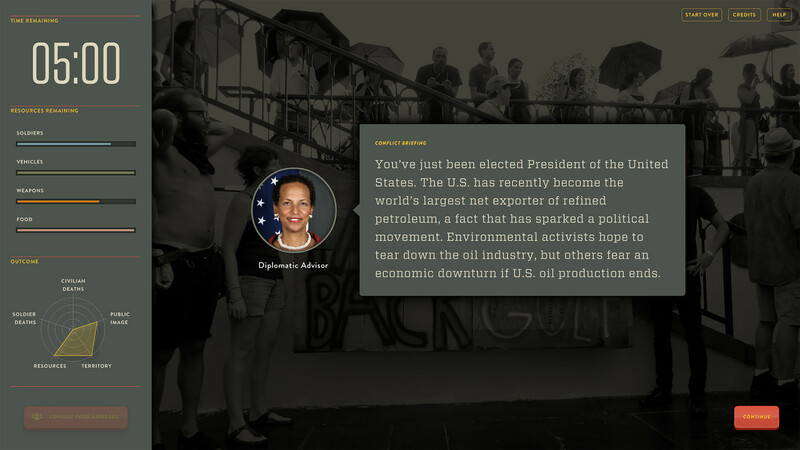 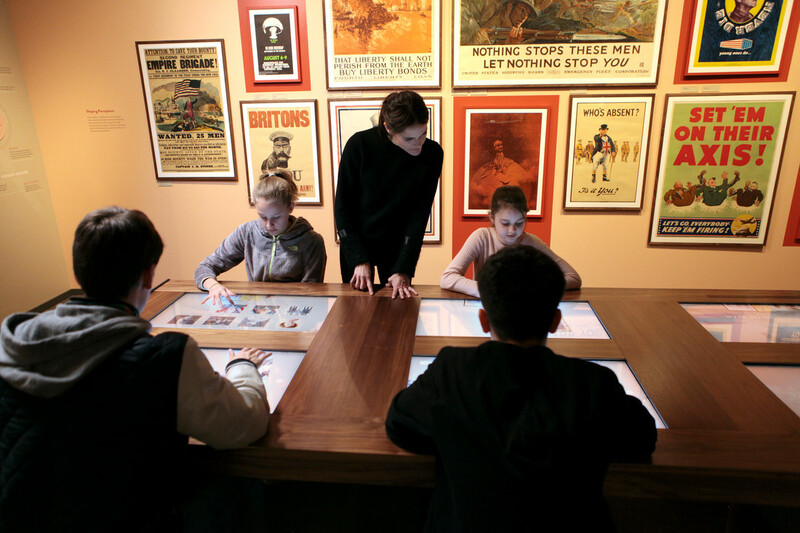 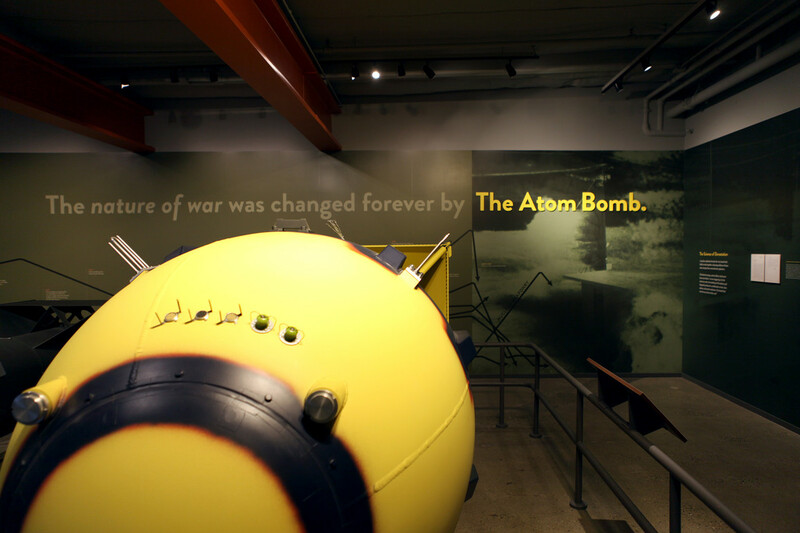 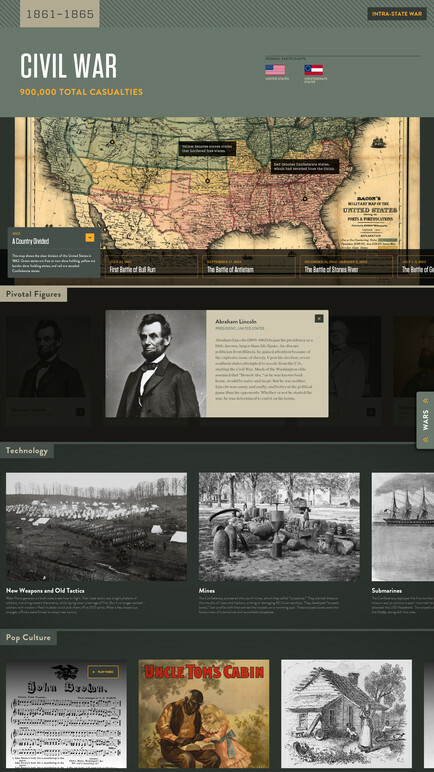 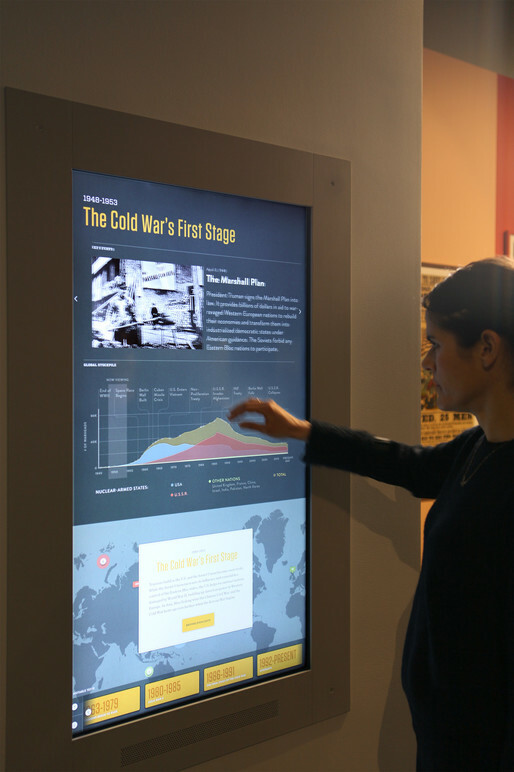 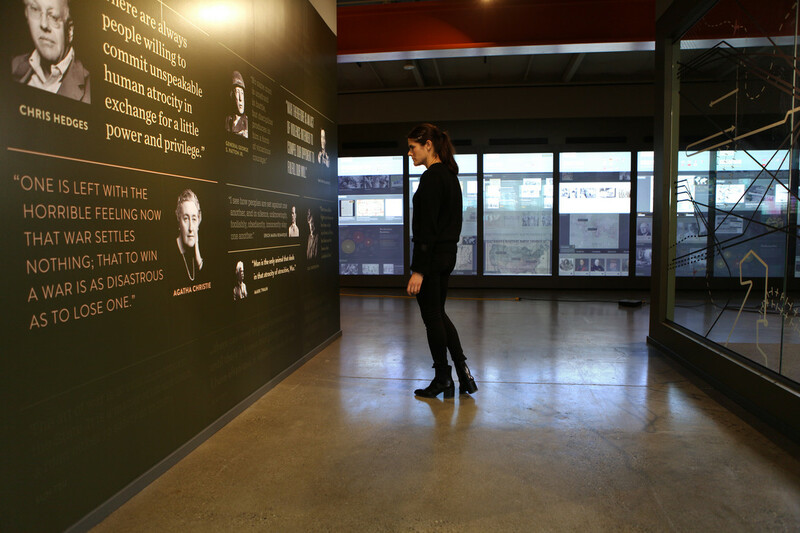 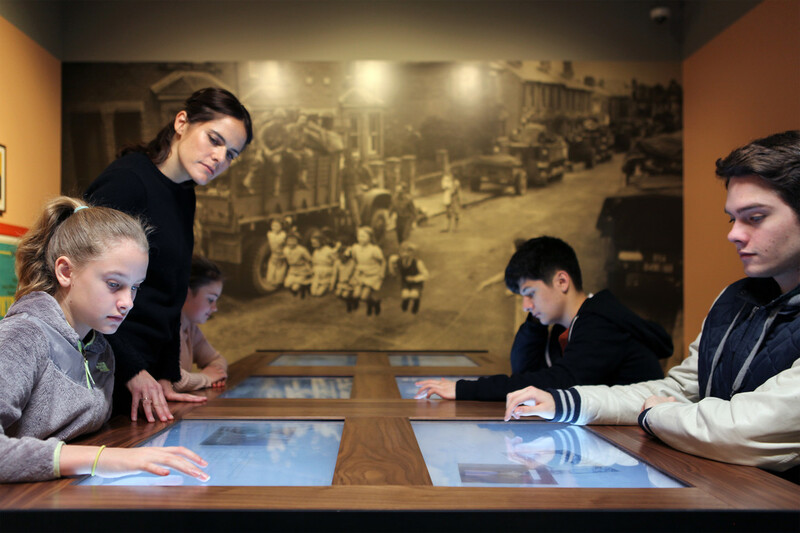 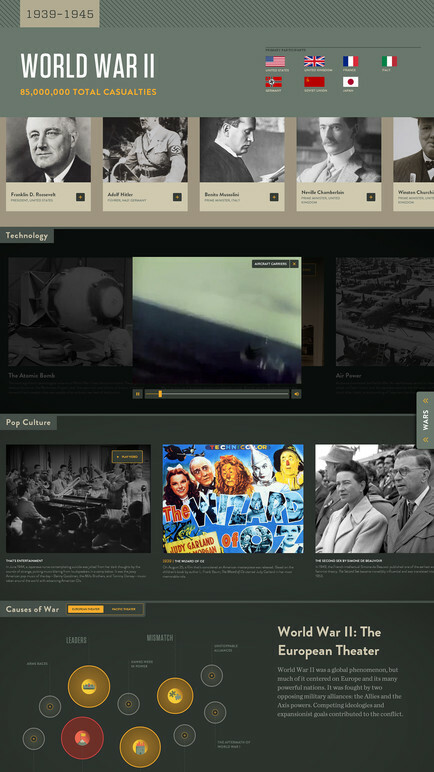 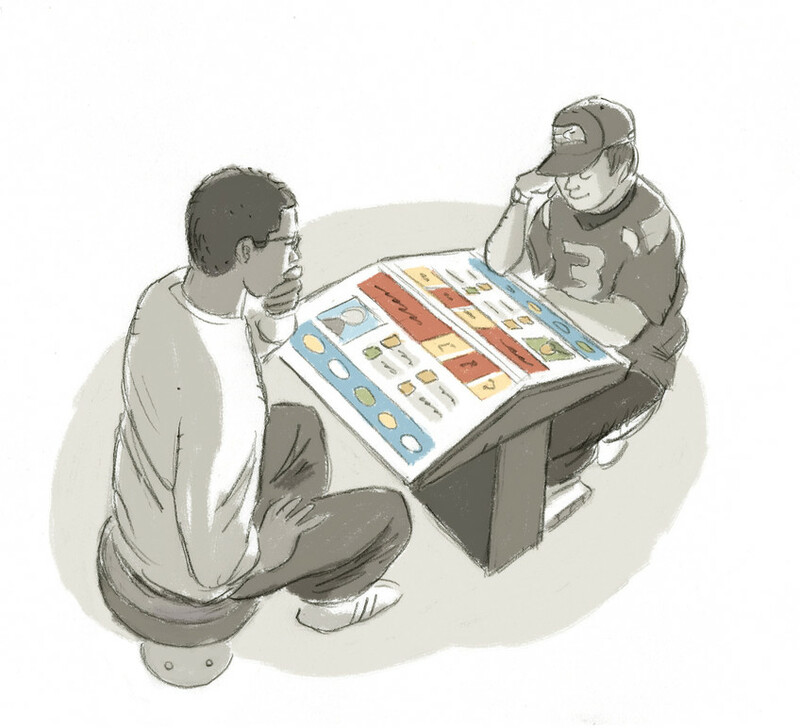 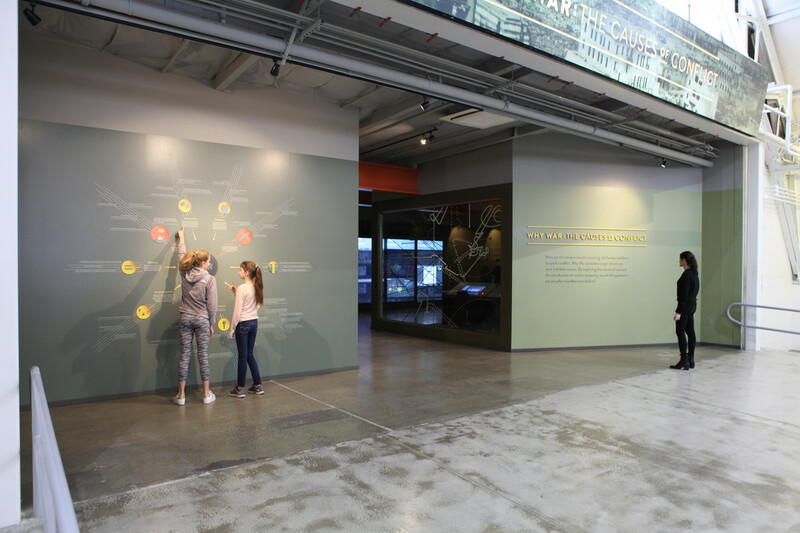 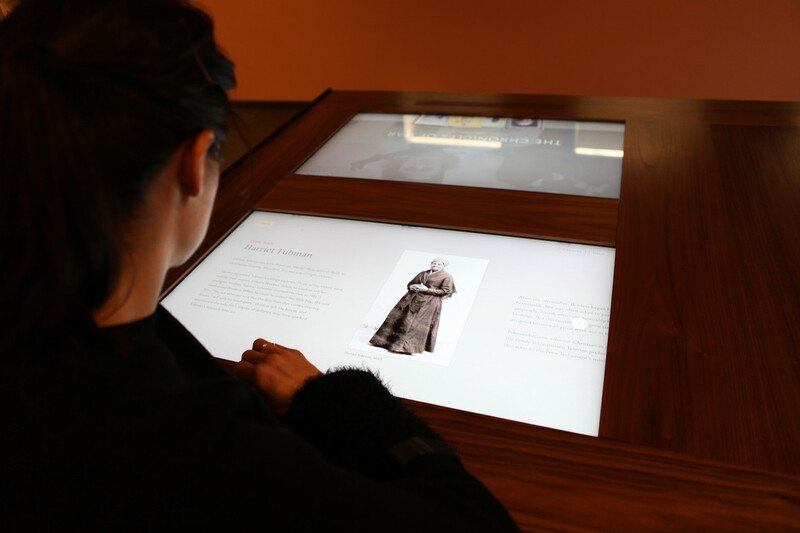 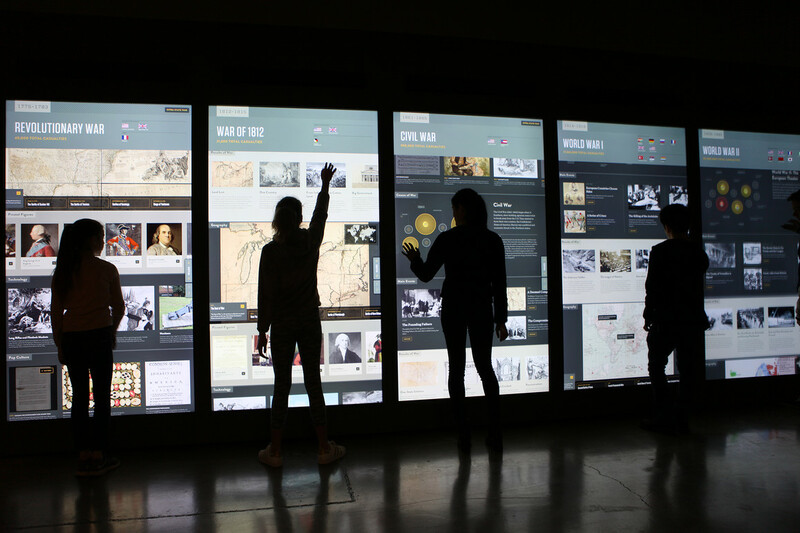 Dynamic, large-scale touch stations present interactive infographics; numerous stories are made up of historically-significant digital artifacts, photos, and archival films; and visitors are challenged and engaged with conflict simulation scenarios. 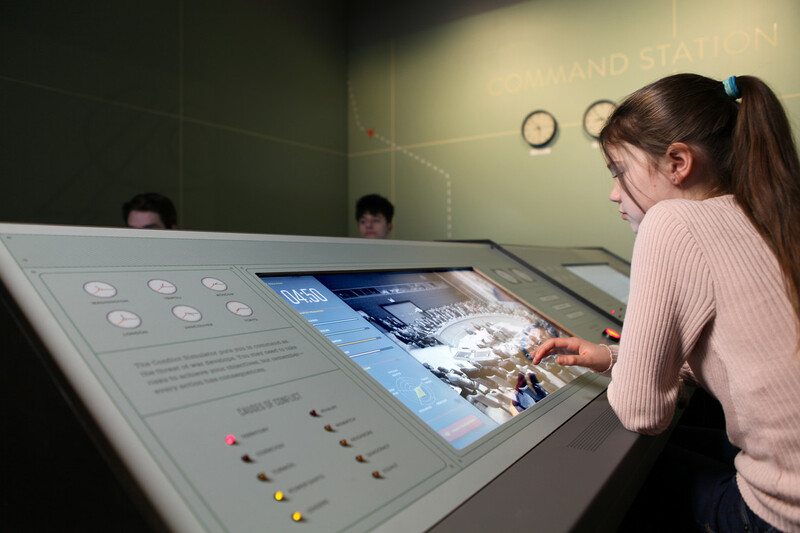 The “Why War” interactive exhibit includes multiple media components that work in concert as a collective installation: An animating digital signage ribbon flanks the entrance to the gallery, designed to attract visitors from across an aircraft-filled hangar—providing a preview of the digital content included within. 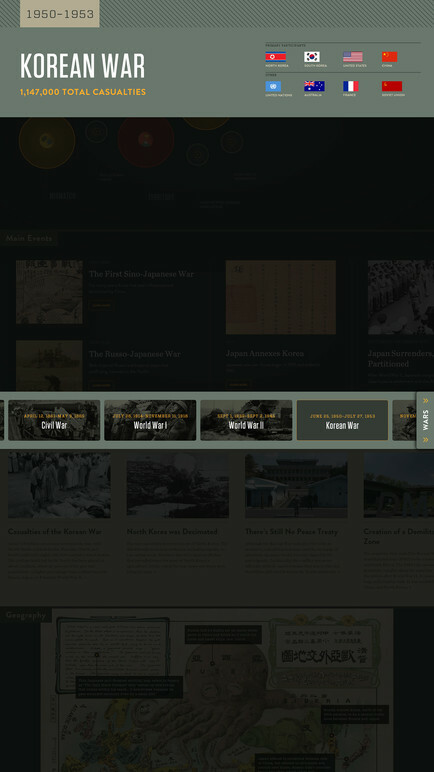 An enormous interactive wall presents a timeline of eight featured wars that America has participated in. 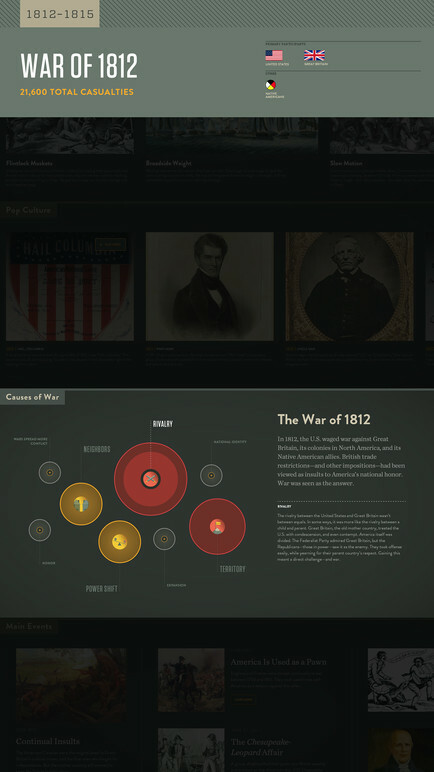 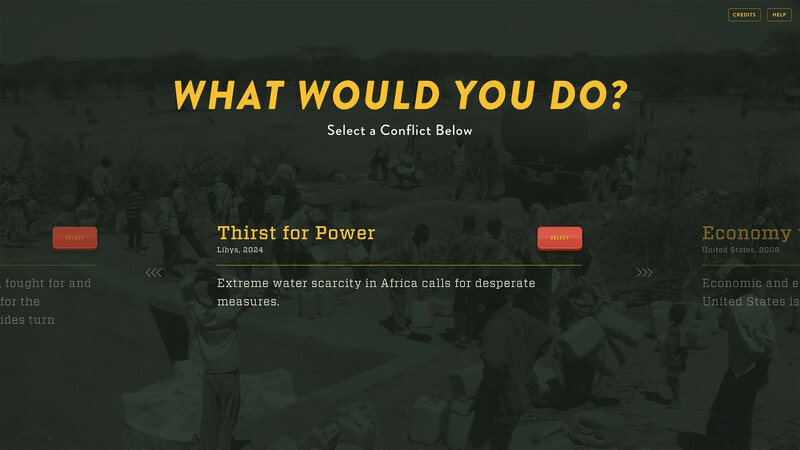 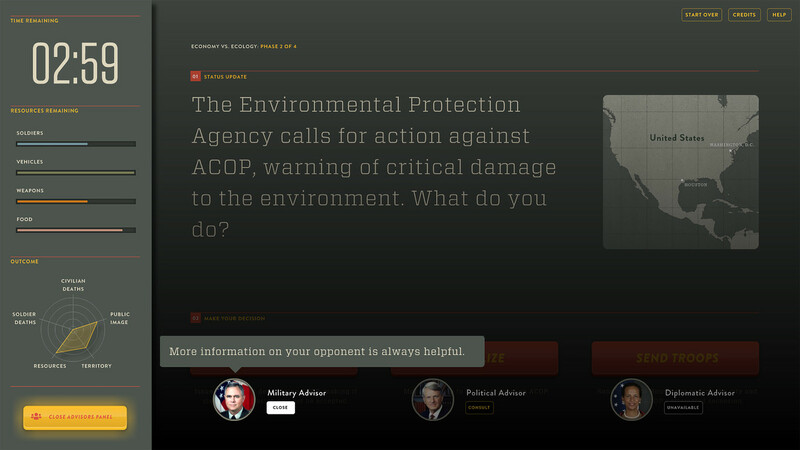 This central interactive component examines conflict through the lenses of inciting factors, key figures, technology, and pop culture to demonstrate the common causes of war. 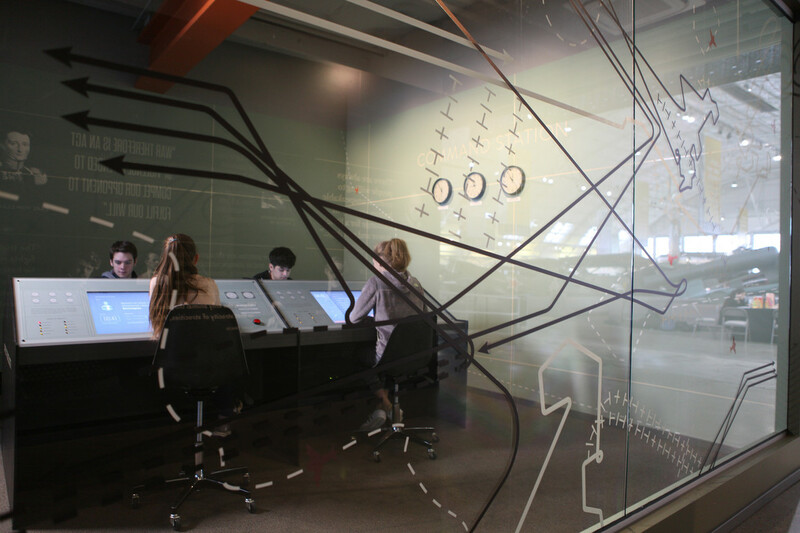 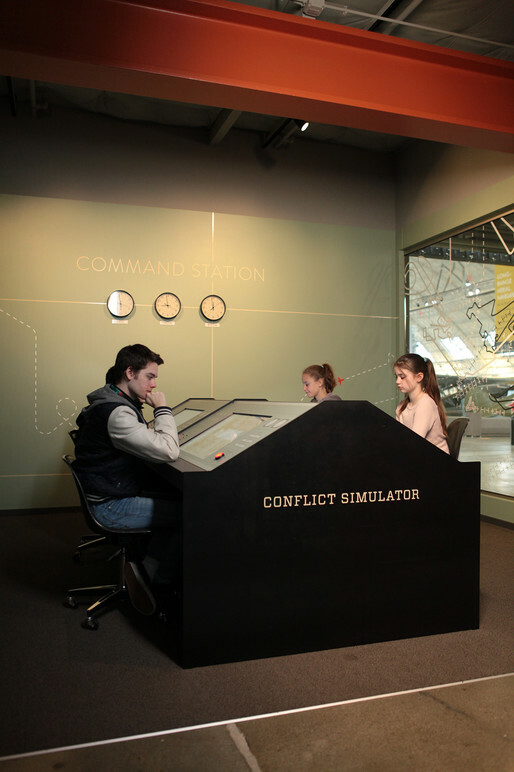 The Conflict Simulator is where visitors find out what kind of leaders they are—when faced with nation-to-nation conflict scenarios in a Cold War era war room. 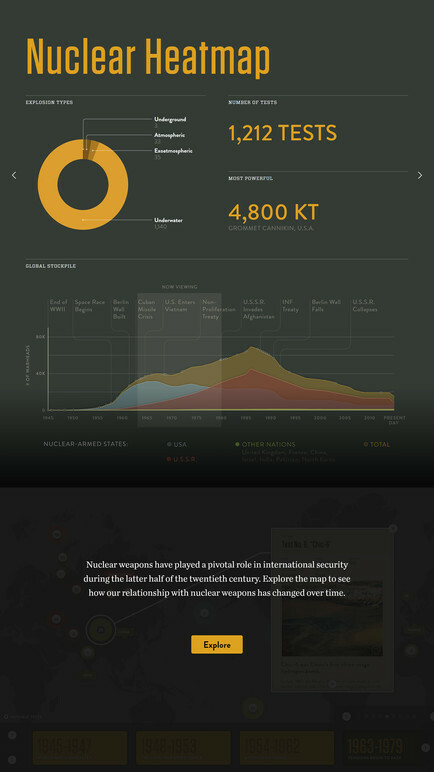 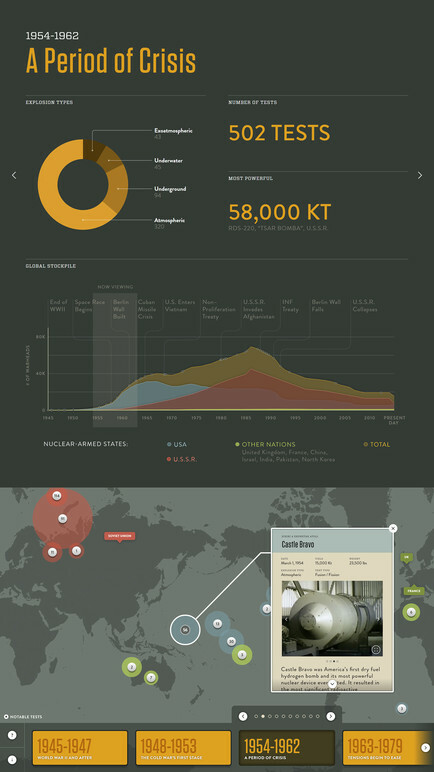 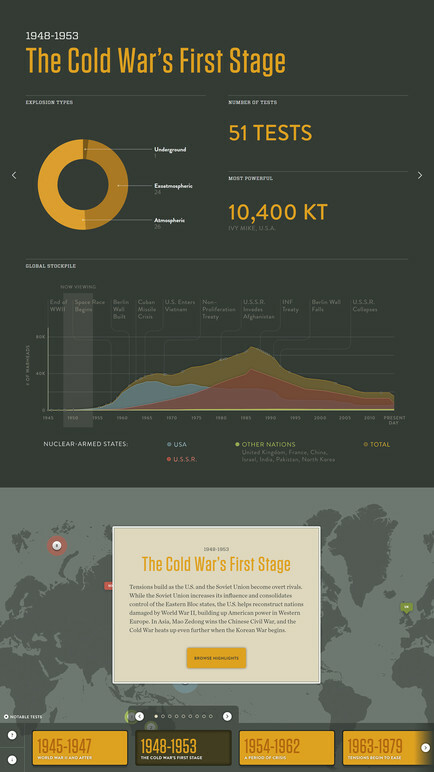 The Nuclear Heatmap interactive outlines both the Cold War-era stockpiling and testing of nuclear weapons (around the globe), and also the major de-escalation of nuclear activity in recent years. 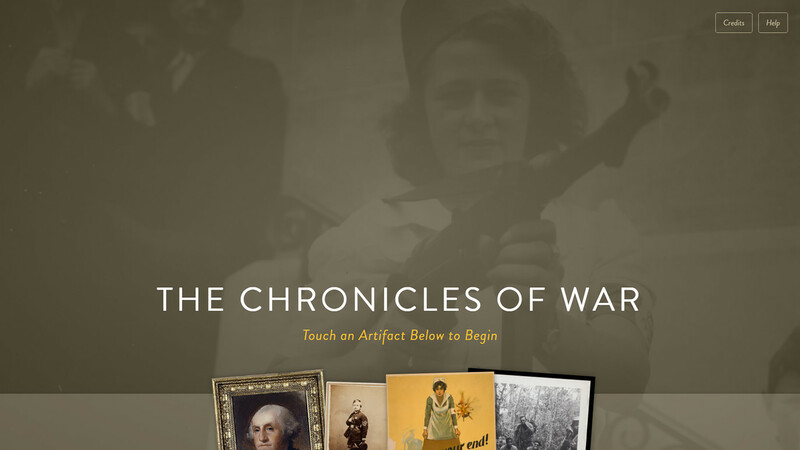 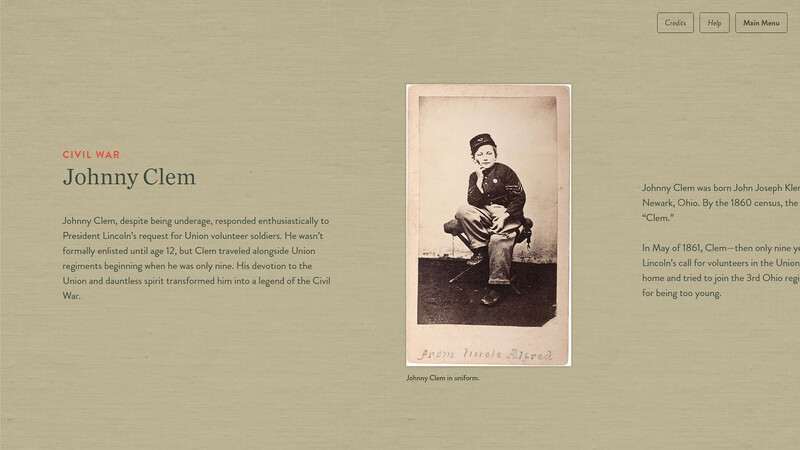 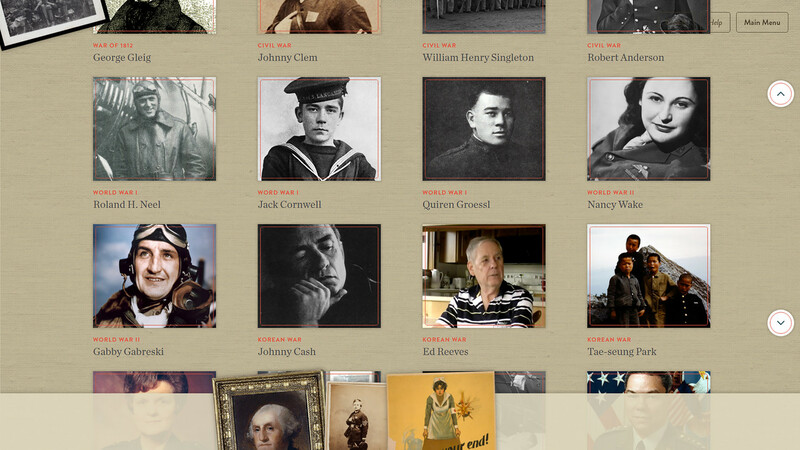 Chronicles of War presents exploratory, digital artifact-based human stories—presenting war’s impact on key figures, soldiers, women, and children. 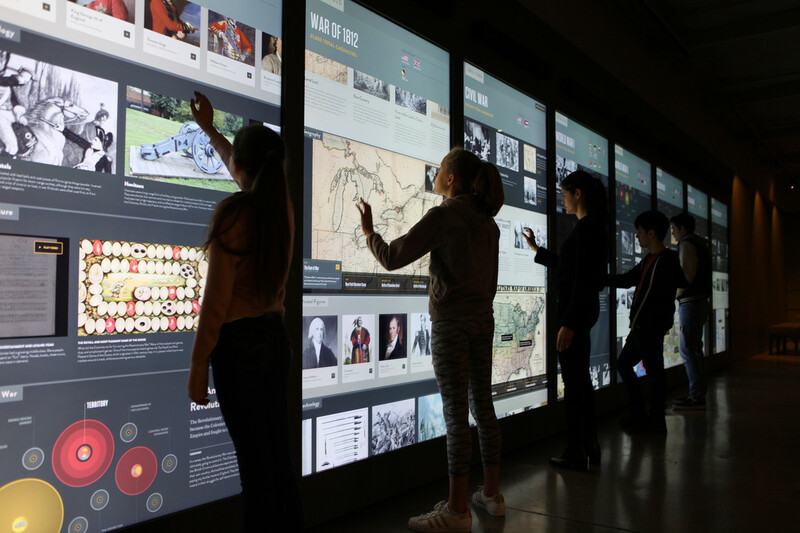 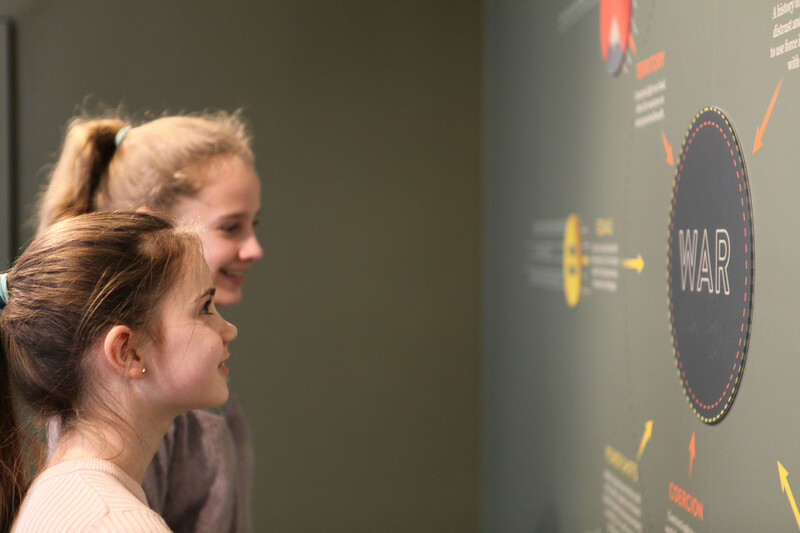 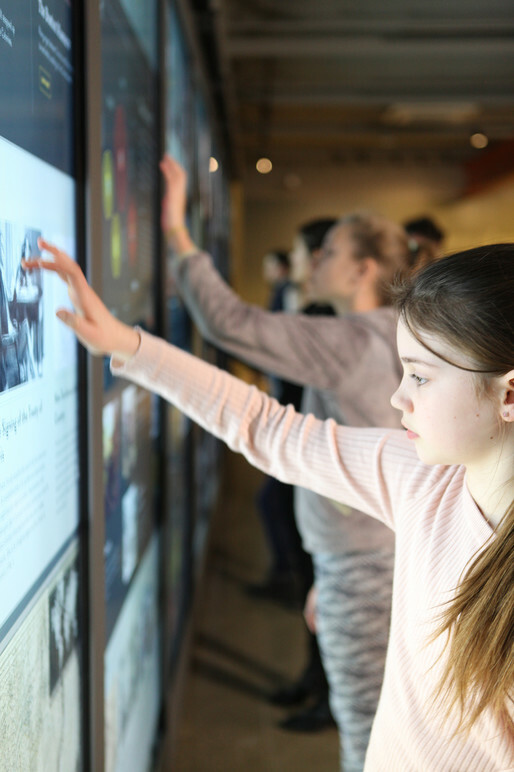 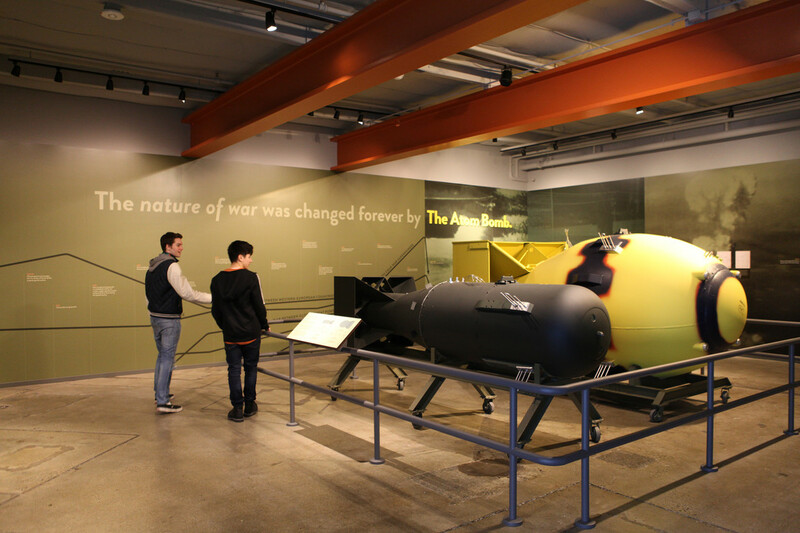 Why War’s engaging interactives let families, community groups, and school classes choose how they want to explore this complex topic. 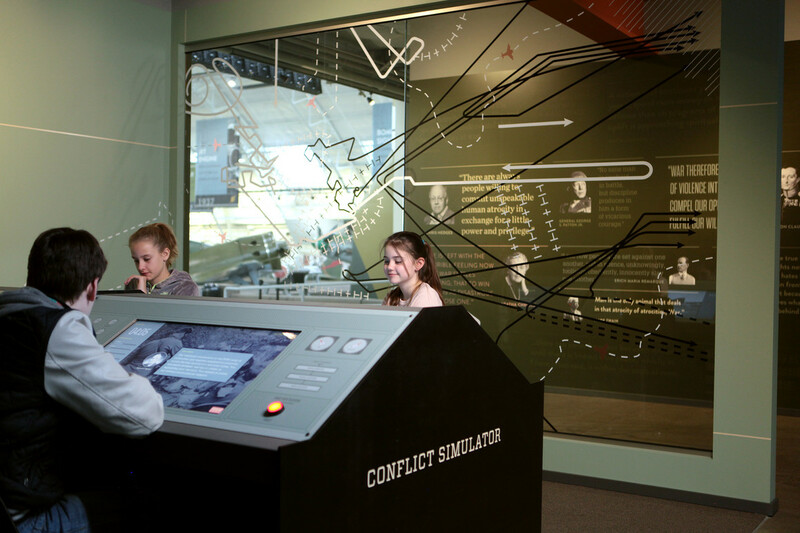 Wars are not random events; recurring risk factors combine to spark conflict. 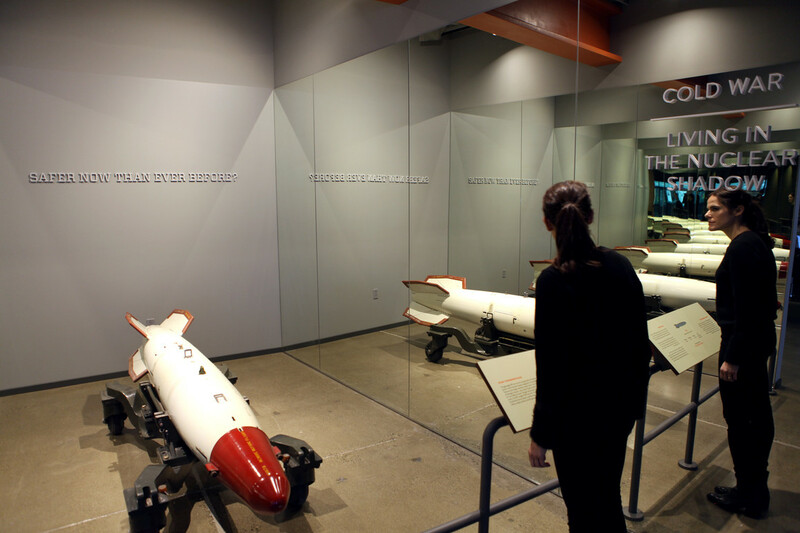 By exploring the nature of war and the introduction of nuclear weaponry, we ask the question: Are we safer now than ever before?